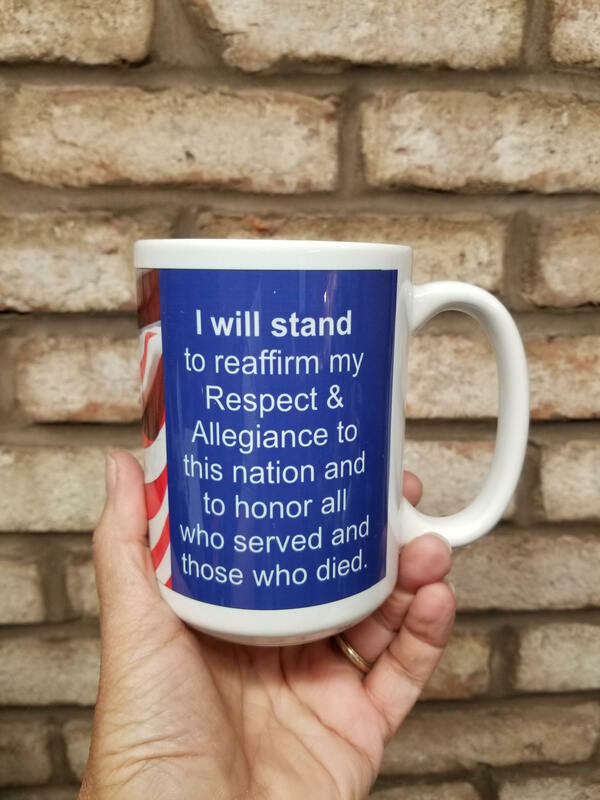 Our I WILL STAND Coffee Mug is a great way to show your Patriotic Spirit. 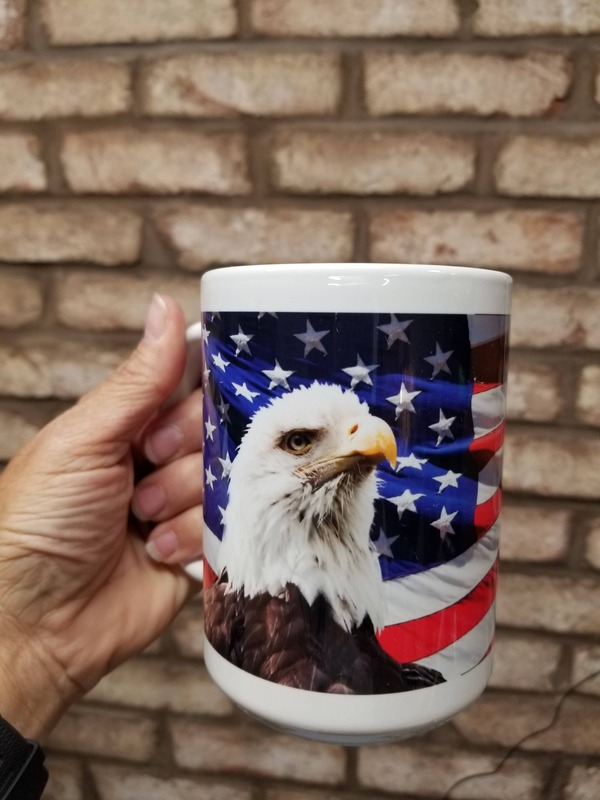 It features an American Eagle on an American Flag background. 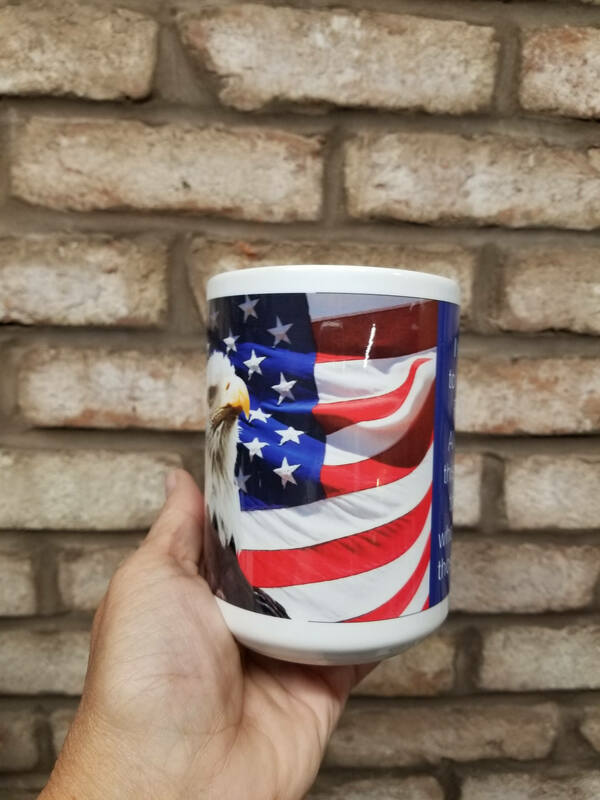 In this country, we are free. We are free to sit, stand or kneel. 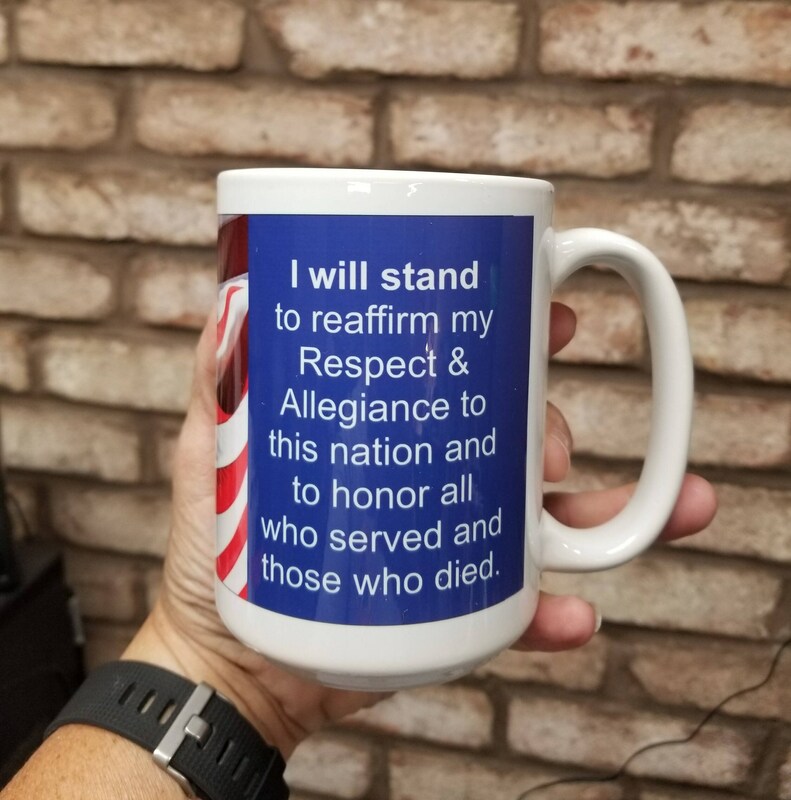 I created this mug design to let the world know that I will always stand when the flag passes by and when the National Anthem is played. It's in my blood...and I am not alone. 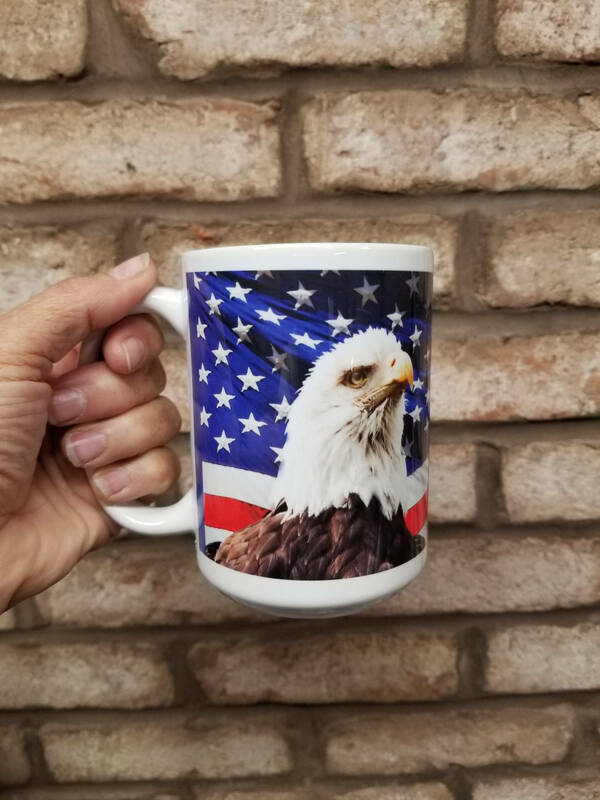 This mug is a 15 oz mug. The design is created using digital dye imaging. 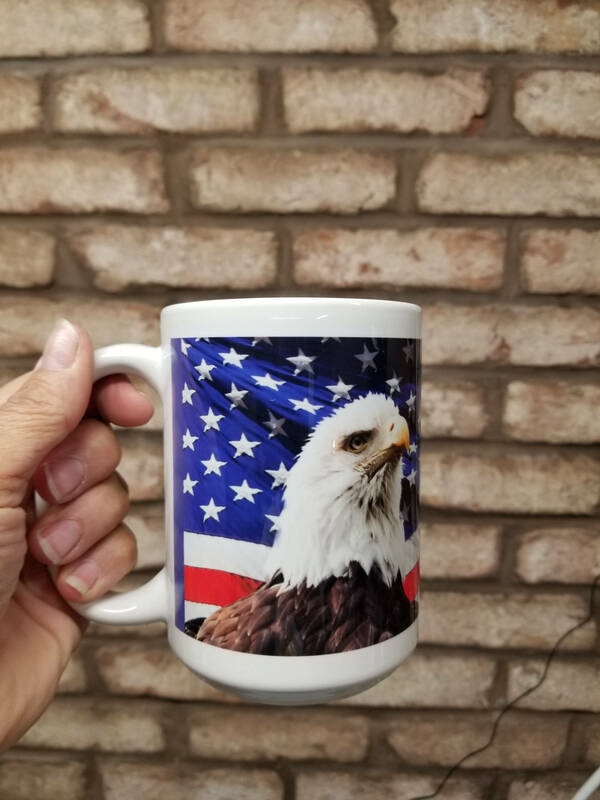 The image is part of the mug and will not crack, peel or fade.